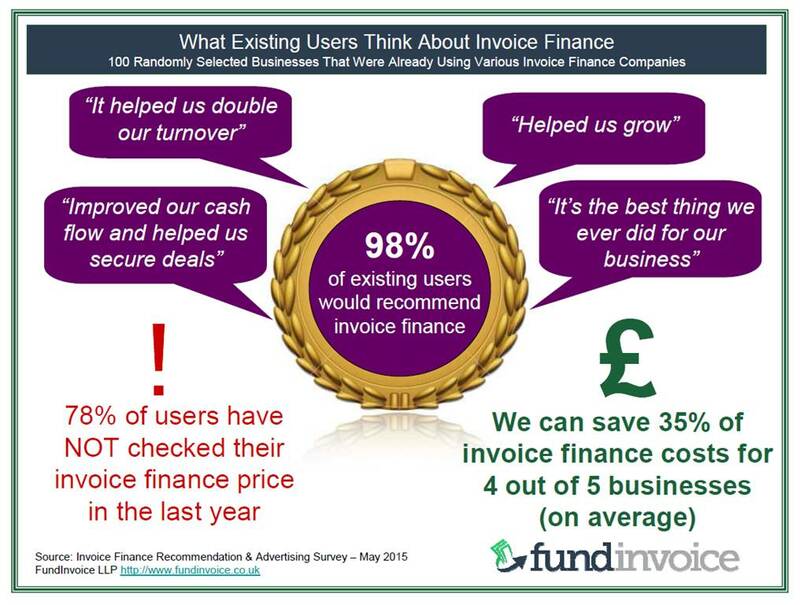 98% of existing users would recommend invoice finance (May 2015). 78% of users have not checked their price in the last year despite which 64% want a price reduction. 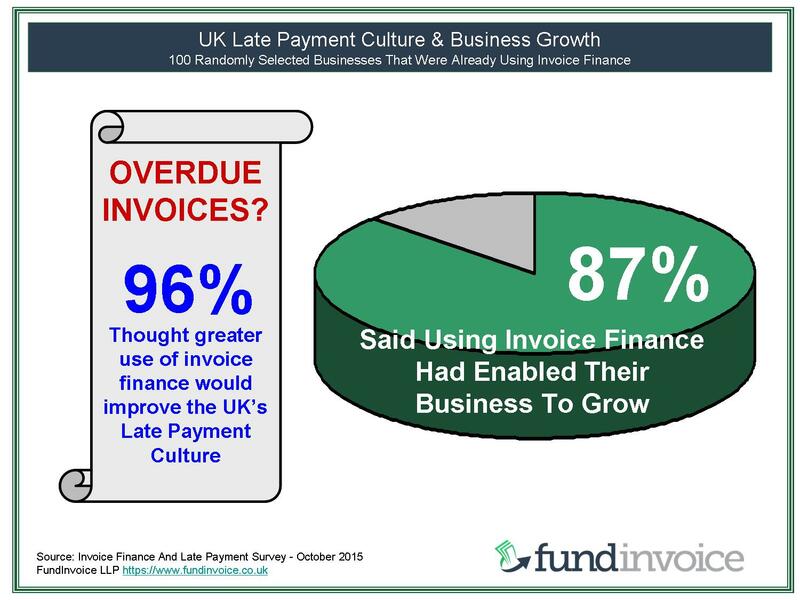 96% of existing users think greater use of IF would improve UK late payment culture (October 2015). 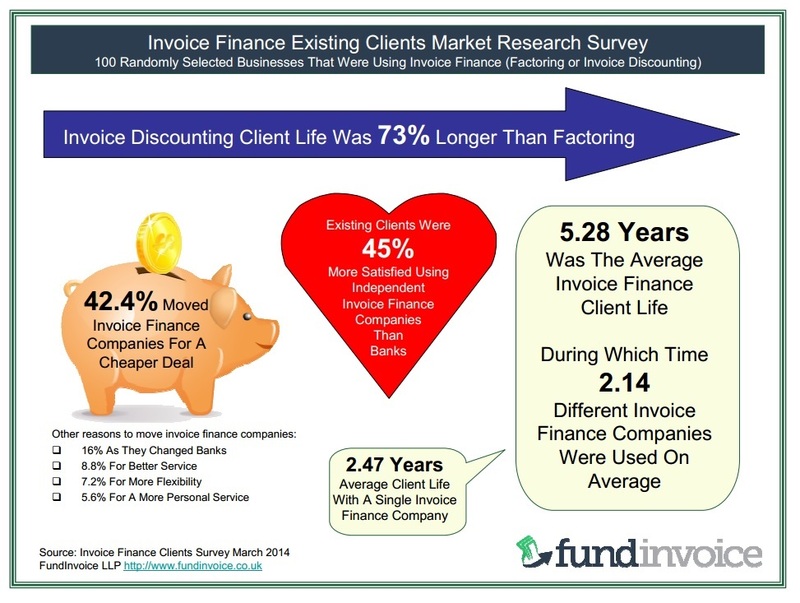 87% of existing users say invoice finance enabled their business growth. Average client life is 5.28 years during which they use 2.14 different providers (mainly for a cheaper deal 42.4% - March 2014). 45% more satisfied using independent providers than those owned by high street banks. 88% had overdraft representing 2.6% of their debtor book (on average) against 42% ABFA funding levels at the time (2011). 50% reported reductions or removal of their overdraft. 7 times higher awareness of payday loans, and 6.4 times higher awareness of crowdfunding, than IF (January 2016). 47% of users haven't seen any IF advertising - most have only seen email advertising (May 2015). 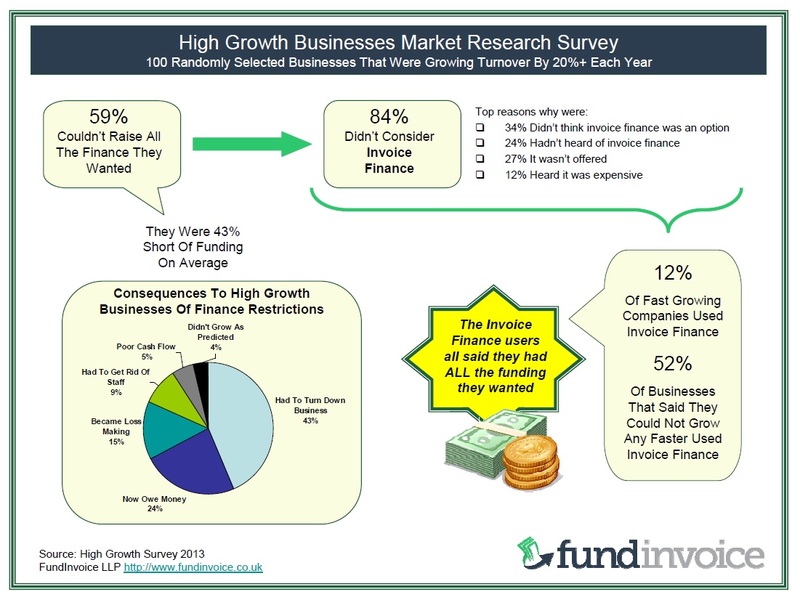 63% want to fund all invoices, 37% want selective invoice finance (May 2013). 61% want funding from 1 party, 39% prefer an Ebay style auction. Cost is the biggest barrier to using IF (51%) low awareness is the second (21%) (February 2015). 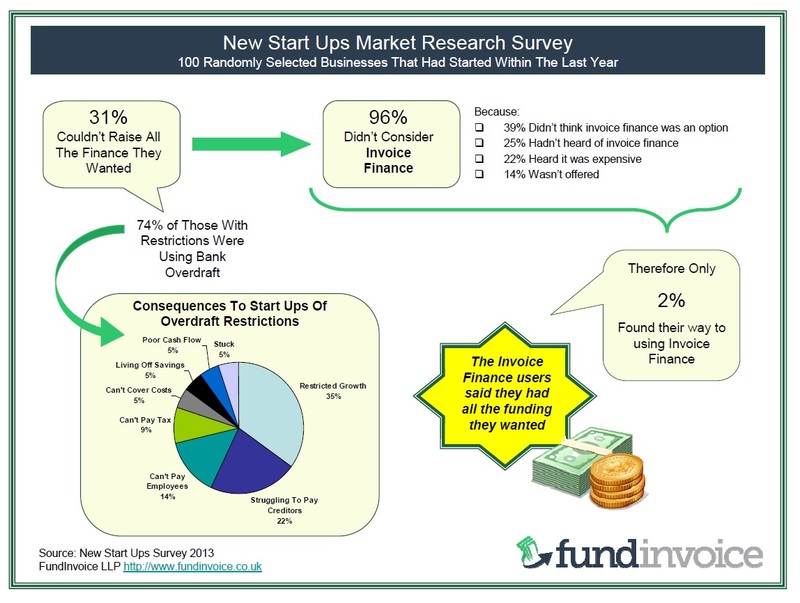 31% couldn't raise all the finance they needed (2013). 96% didn't consider IF as most handn't heard or it or didnt know it was an option. 0.85% of UK businesses use IF, 12% of fast growers (20%+ pa) and 52% of maximim growers (January 2014). 59% couldn't raise all the finance that they needed (2013). 68% of existing users would recommend IF to fast growing companies (October 2015). 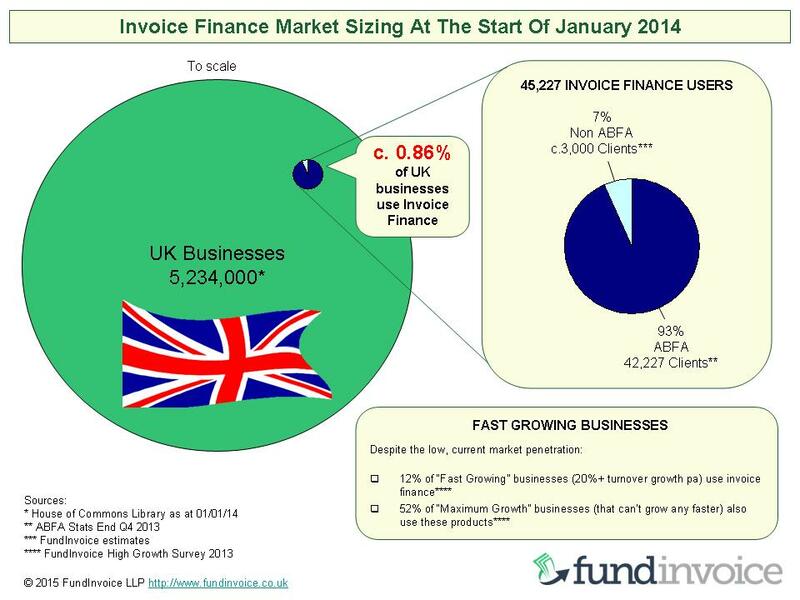 75% raise applications for payment, 25% raise sales invoices (2013). 85% of those raising applications would benefit from payment immediately. 2% use construction finance - 42% of those that don't have never heard of it. Sources: Are shown in the links above. If none is shown refer to the link above that point.